The entries, scribbled hastily in pencil, are a jumble of the immortal and the ephemeral: snatches of verse and strange political visions alongside the name of a patent-medicine brand and the addresses of men and women whom the poet met on his rambles around the city. Here and there are traces of these other hands. 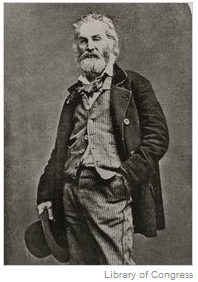 One page is filled up with the name “Arthur Henry,” crudely repeated; it is believed that Whitman was teaching a workingman or street tough to write his name.